Britain’s Independent on Sunday newspaper has released it’s annual Happy 100 List for 2011, which includes some familiar names for readers of LookToTheStars.org. The IoS Happy List began in 2008, and lets readers of the paper vote for the people they believe make Britain a better and happier place to live. 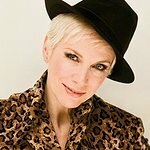 Annie Lennox: "As well as three decades of chart hits, she is also an Oxfam ambassador. She initiated the Sing campaign, inspired by Nelson Mandela in 2007, that helps women and children affected by Aids. Has donated tour profits to Amnesty International and Greenpeace, and is a Unesco goodwill ambassador." Ryan McLaughlin: “After his mother was diagnosed with multiple sclerosis, this teenager campaigned on the importance of vitamin D in preventing the disease. He organised a march and petition to the Scottish Parliament, plus a summit, with experts from 19 countries. Scotland has a public awareness programme now.” LookToTheStars.org has featured Ryan – who has had the support of JK Rowling – on a number of occasions. John Caudwell: "The founder of Phones4U also started the Caudwell Children charity in Stoke-on-Trent, and covers its costs. Rapidly expanding and, with Robbie Williams as an ambassador, it has helped raise and donate more than £13m for equipment and therapy for sick and disabled youngsters in the UK since 2000." Tom Henderson: "Awarded an OBE for services to humanitarian aid after launching ShelterBox in 2000, now the world’s largest Rotary Club project. The Cornish charity delivers emergency shelter, warmth, and dignity to tsunami, typhoon, hurricane, volcano, earthquake and conflict victims in 65 countries." Magnus MacFarlane-Barrow: "After meeting Edward, a 14-year-old in Malawi whose mother was dying of Aids and who had insufficient food to attend school, MacFarlane-Barrow founded Mary's Meals, a Scottish charity feeding half a million children daily in 16 of the poorest countries. Now has 30 staff and 10,000 volunteers." Bryn and Emma Parry: "When former soldier Bryn Parry and his wife Emma organised a bicycle ride to raise £10,000 for wounded servicemen, they could hardly have predicted the enormous charity it would become. Now Help for Heroes raises more than £20m annually, funding rehabilitation projects across the country."